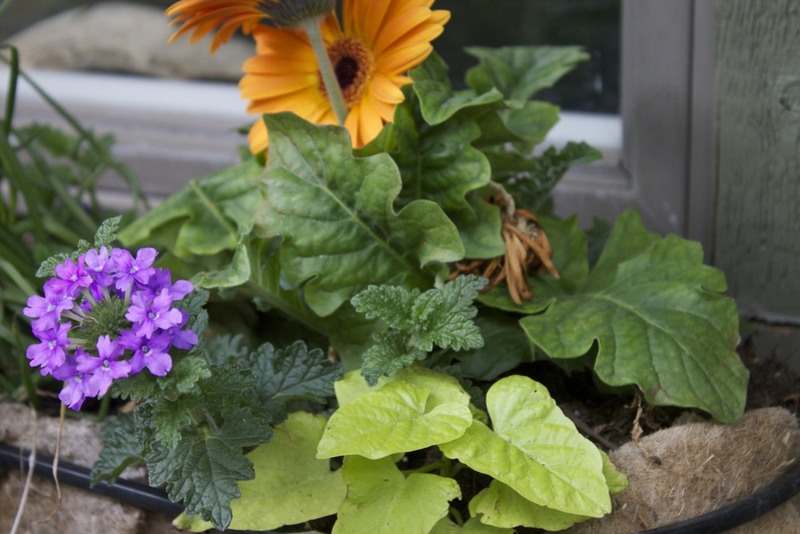 Is there anything more cheerful than a window box brimming with flowers? I think not and that's why I have 2 on my back deck. I just refreshed mine for summer and they look great. These window boxes get hot afternoon sun, so I filled them with blooming plants that like heat. I filled them pretty full so they would look good now, but they will continue to fill out and look even better. These have orange bulbine, purple pentas, orange gerbera daisies, bright green sweet potato vine, and silver pony foot. There is a wide variety of textures, heights, and lengths that make an interesting composition. What do you think? A box full of happiness! May 20, 2013 by Lynn Adams.